Cloud Pirates Beta Giveaway Round 2 - 500 Keys for You! Cloud Pirates Beta Giveaway Round 2 – 500 Keys for You! About a month ago, we gave you 200 keys for the first Cloud Pirates beta event. Now My.com is gearing up for the second round of testing (which will begin on November 23rd) and they have provided us with 500 additional keys; note that if you picked one at the previous round, you won’t need a new one to keep playing. Cloud Pirates is an action MMO developed by the Allods Team, the Russian studio primarily known for Allods Online and Skyforge. It’s focused on aerial battles, as you could have assumed by reading the title alone. During the second Cloud Pirates beta event, players will have access to twelve new ships to experience additional combat styles and tactics. In addition, a brand new system will allow you to further your “Captain Progress” with every game played, regardless of the ship (new or old) you choose to sail. By reaching captain level 10 via this new system, more talent options will be unlocked, ensuring even further opportunities for ship & playstyle experimentation. As usual, all you need to do to get your key is follow our Twitter account and subscribe to our YouTube channel below (if you haven’t already). • Enter the code in the “redeem a promo code” dedicated field. For more info on the game, check out the official fact sheet below with information on both gameplay features and setting. A thousand years ago the world of Sarnaut was split by a cataclysm into countless islands drifting through the Astral space. Before long, people invented flying ships to travel from island to island, and found artifacts & treasures everywhere. Treasure hunters began to form squadrons, and equipped their airships with various weaponry to protect themselves in their hunt for riches. Bands of Cloud Pirates, as people called them, began to fight each other for the right to plunder the skies… Ready your airship, band together with your comrades in arms, and claim what is yours! For profit and glory! 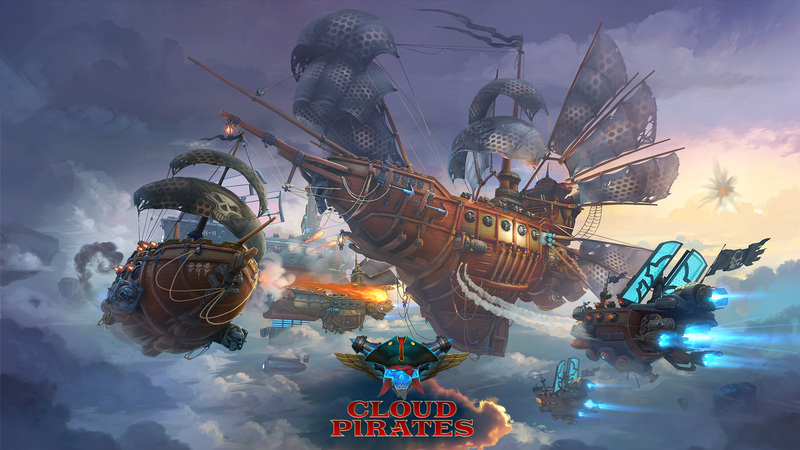 Deck out your pirate airship with cutting edge weaponry in Cloud Pirates, an action MMO in which you fire your cannons to crush the enemy in fastpaced aerial battles! FIGHT FOR THE SKIES Take command of your own airship and navigate the clouds to battle rival captains in exciting tactical team combat. Rule the skies by dodging enemy volleys, using daring maneuvers and your impressive weaponry. Blaze through science-fiction fantasy battlefields in your state of the art airship and become a legendary Cloud Pirate! CUSTOMIZE YOUR FLEET As you progress, you will gain access to tons of unique upgrades and weapons that will grant your airships new powerful abilities. Give your ships a fearsome and deadly appearance through numerous visual customization options, and develop your captain & crew. Become the scourge of the skies! COMPETE IN TEAM BATTLES Form a squadron and cooperate with other cloud pirates in strategic battles. Play to the strengths of your team mates: combine your firepower to overwhelm the enemy, or simply outsmart them by beating the other captains to the capture point or loot. Adjust your team strategy for each game mode!